Mega Man’s crush hinted at during the end of comic 500 comes to a stunning twist! 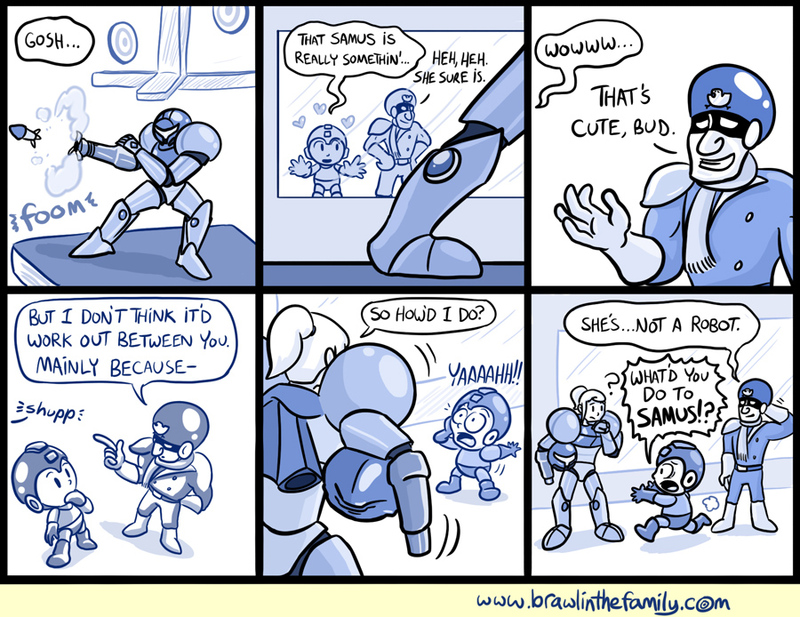 I liked the idea of Mega Man and Captain Falcon sharing admiration for Samus, but for completely different ideas, but it took a few tries before I could figure out a way to tell this joke that I was satisfied with. I also forgot to mention last time, but with comic 542, BitF hit a new, arbitrary milestone: it now has more comics than episodes of The Simpsons!